Free shipping. Buy direct from HP. 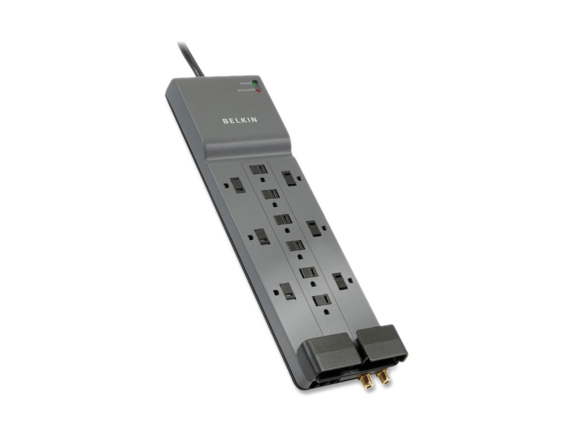 See customer reviews and comparisons for the Belkin 12-Outlet Prof. 3960 SurgeMaster. Upgrades and savings on select products. 12-Outlet Professional Series SurgeMaster Surge Protector offers top-level surge protection for your professional workstations and high-end AV equipment. Design includes six AC block space outlets, a right-angle plug, 8' cord, detachable cable-management and sliding safety covers. Surge protector offers telephone line (RJ11) and coaxial protection.